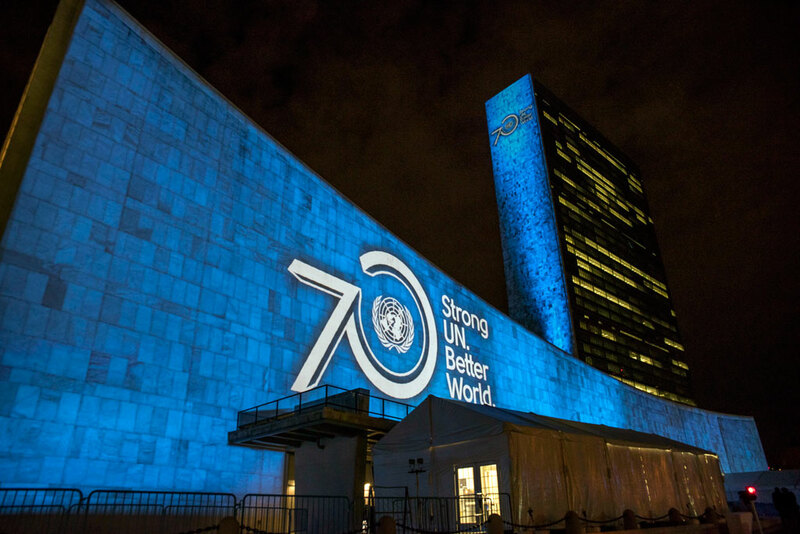 To help mark the 70th anniversary of the United Nations, the UN organized “Turn the World UN Blue Day” on October 24, 2015. Illuminated in blue, our historic meetinghouse joined iconic monuments, buildings, landscapes, museums, bridges, and other landmarks across the globe in celebrating UN Day. The Turn the World UN Blue campaign is a unique opportunity to help unite global citizens, promote the message of peace, development and human rights, and showcase a commitment to the ideals and principles of dignity and prosperity for all. See images of the Turn the World UN Blue campaign at Fifteenth Street Meetinghouse and Friends’ Hunter Hall here.